There is a popular, although not a majority, teaching which says that when we die, we are not conscious of anything and are in a state of sleep until the resurrection. That’s not what I am writing about. What I am writing about is the two different ways that someone’s soul can be asleep in the here and now. The first type of sleep is completely natural. 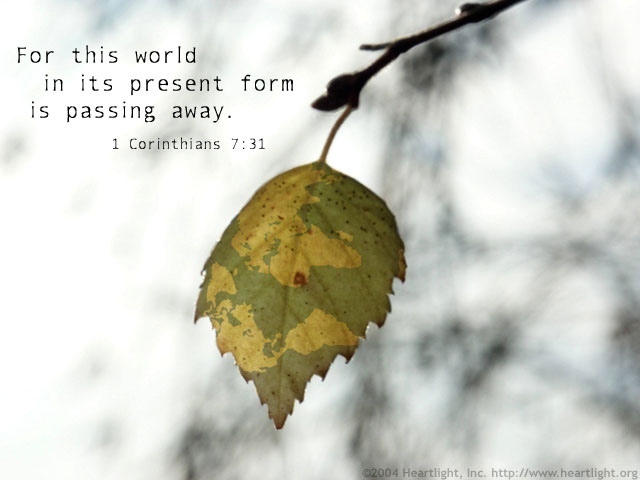 The natural, carnal, unregenerate human is asleep to the things of God. In fact, he is probably oblivious to spiritual things. If not, he believes they are foolishness. 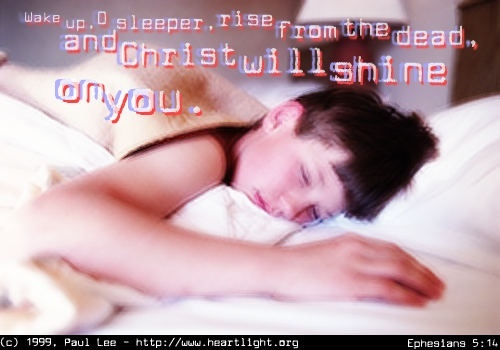 Because of this deep sleep, which is also spiritual death, it takes a supernatural force to awaken them from this sleep. God has provided such a force, and it is His Word. The only way to bring faith to life is for some one to hear the Word of God and believe it. And so the call goes forth to all who are willing to hear to wake up, in the same way turning on a bright light can wake someone from sleep. We shine the light of Jesus and ask them to choose to rise and live. But there is another type of soul sleep. It can affect Christians who become comfortable with their level of growth and decide to stay there. The enemy lulls them to sleep and they become unaware of their backsliding. For staying at one level is not possible. We are either moving forward or sliding backward. One question we can reflect on is this: was there a time in the past when I was more on fire for God? When I had more zeal and was bearing more fruit? If you can say yes to any or all of those questions, you are in a backslidden condition and need to get back on the road to heaven. I am convinced that this condition was what happened to the church at Ephesus in Revelation chapter 2. They didn’t hold an elders meeting one day and decide to leave their first love. It was a gradual, unintentional process. If we discover we are asleep, or starting to get drowsy, we née to do what Jesus commanded the Ephesians to do. Are you going to let them drown? Not to care if they come? Don’t close your eyes and pretend the job’s done! So how can you delay? But like Jonah you run. He’s told you to speak but you keep holding it in. ’cause it’s asleep in the light! I like to do biographical studies in the Bible. It keeps things fresh and sometimes it helps when I get an overview of someone’s life instead of looking just at single instances. One person I find fascinating, even though little is said about him, is the Apostle Andrew. 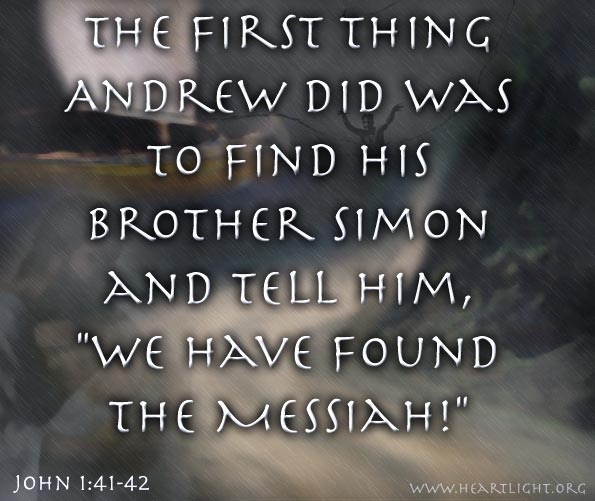 Andrew was Peter’s brother, and actually became a disciple before him. While he is usually mentioned fourth in the lists of Apostles, it becomes apparent that his brother Peter was part of Jesus’ inner circle. Yet there is never any mention of envy or jealousy on Andrew’s part. Rather than let pride rule him and become resentful of Peter, he remains where Jesus has placed him, confident that God knows what is best. Other than in lists, Andrew is only mentioned three times, all in the Gospel of John. And that is not surprising, since John and James were also fishermen and appear to have known Peter and Andrew. Let’s take a look at those three passages, and then draw some lessons from Andrew’s life. 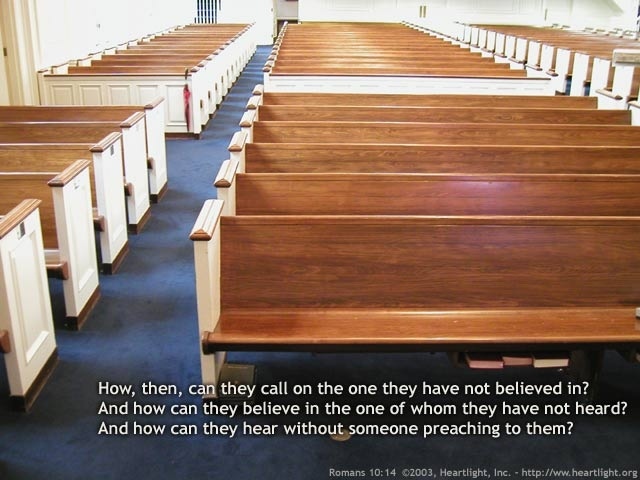 So, what reason is there that these accounts are in Scripture? What do these stories have in common. After pondering and meditating on this for awhile, it became clear what they have in common. Every time we see Andrew, he is bringing someone to Jesus! First, he brings his brother, Peter. He is so excited about finding the Messiah, that he goes and gets the me closest to him and brings him to Jesus. 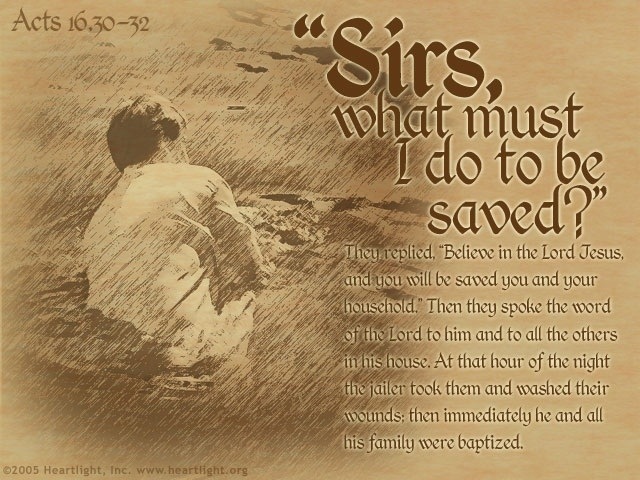 How often all of us have seen someone newly converted, who in their zeal goes out and tells everyone they know about how wonderful our Savior is! As we mature in Christ, that wonder and enthusiasm needs to be stoked and kept hot. Then he brings a little boy to Jesus at the feeding of the 5,000. There is nothing to indicate that he knew this boy. And yet the account doesn’t say Andrew grabbed him, took him kicking and screaming up to Jesus, and stole his lunch. Andrew had searched and found someone willing to bring all they had to the Master. We also should continue to seek out those who are inclined and willing to offer themselves to Christ and guide them to his feet. And finally, a men came seeking after Jesus, who apparently knows who He is already. Andrew and Phillip simply assure them that Jesus is in fact there and do not hinder them. But these were not their kinsmen. The men were Greek proselytes who had come to the feast in Jerusalem. Yet there is no hesitation on Andrew or Phillips part. No sign of prejudice and thought that any man was less worthy to find Jesus. It is also worth pointing out that there was something about Andrew and Phillip that made it unnecessary for the men to ask them if they knew Jesus. 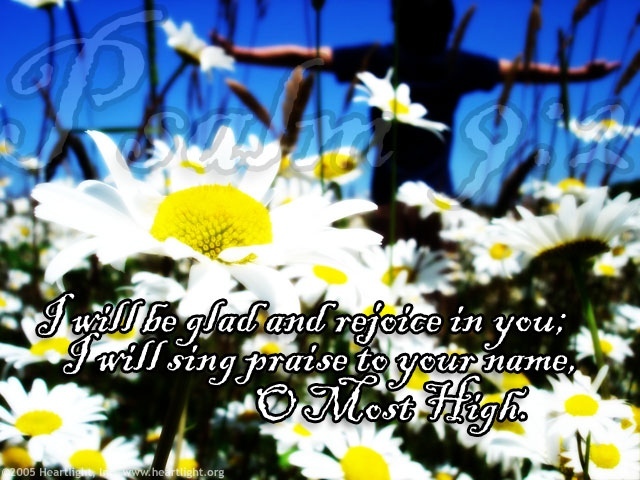 He simply approached them and said, “sir, we wish to see Jesus. In our preaching and teaching, the only way we will be of any benefit to our hearers is for us to remember that what our audience really needs is to see Jesus. They don’t need to see our intellect or wit on display. They don’t need to be entertained. They just need to see Jesus! We should all want to be remembered someday as an Andrew. Whenever people think of us, what a wonderful tribute it would be for them to say, “he was always bringing people to Jesus”.